A TSA retirement plan, also known as a TSA annuity, has nothing to do with the Transportation Security Administration. 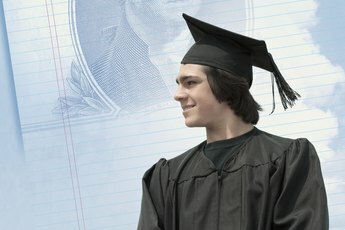 Rather, a TSA – or tax-sheltered annuity – is a tax-advantaged retirement plan offered by public schools and certain tax-exempt organizations. In some ways, it's like a 401(k) plan, except it's offered by non-profit institutions rather than for-profit corporations. In fact, a TSA carries its own tax code identifying number, as well: It's also known as a 403(b) plan. The tax advantages of a 403(b) plan may change depending on whether or not you've opened a 403(b) Roth account. In many ways, a 403(b) mirrors a 401(k) plan. Employees are allowed to make salary deferral contributions to a 403(b) plan, which reduces their taxable income and amounts to a tax deduction on the contribution. Employers are also allowed to make contributions on employees' behalf. According to the "universal availability rule" implemented by the IRS, if an employer allows one employee to defer salary into a 403(b) plan, it must extend that same offer to all employees. However, certain exclusions are allowed, including employees who will contribute less than $200 per year, those working less than 20 hours per week and those who participate in a 401(k) or 457 plan offered by another employer. As with a 401(k) plan, elective deferrals into a 403(b) plan are limited to $19,000 for tax year 2019. Catch-up contributions of up to $6,000 per year are allowed for workers aged 50 or older, bringing the maximum elective contribution for these employees to $25,000 per year as of 2019. Employees with 15 years of service may be able to contribute even more. Qualifying employees can contribute the lesser of an additional $3,000, $15,000 reduced by any additional deferrals made in prior years because of the rule or $5,000 times the number of years of service, minus total elective deferrals made in earlier years. The limit on so-called "annual additions" is much higher. Annual additions include all money contributed to a TSA account, including both employee elective deferrals and employer contributions. For the tax year 2019, the TSA limit on total contributions is the lesser of $56,000 or 100 percent of an employee's includible compensation for the year. Distributions cannot be taken from a 403(b) plan until an employee reaches age 59 1/2, experiences employment severance for any reason, dies, becomes disabled, claims a financial hardship or has a qualified reservist distribution. Any distributions that are taken from a 403(b) are fully taxable as ordinary income. In this sense, distributions from a 403(b) plan are like distributions from a 401(k) plan or another retirement plan, such as an IRA. In most ways, a 403(b) Roth works the same as a traditional 403(b) plan. Employees are allowed to make contributions up to the allowable limit, while employers are allowed to make additional contributions on behalf of employees. The main difference lies in the tax treatment of contributions and distributions. Unlike with a traditional 403(b), employer contributions to a Roth 403(b) do not benefit from any tax avoidance. Money is contributed on an after-tax basis, with no tax deduction allowed. However, the reverse is true upon distribution. Qualifying distributions from a 403(b) Roth plan are fully tax-free, including both contributions and earnings. 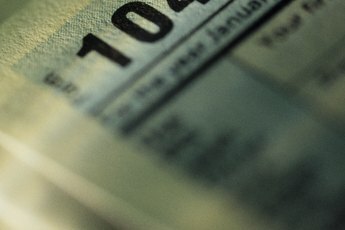 Structurally speaking, the IRS considers a "Roth 403(b)" to actually be a "designated Roth account" nestled within the framework of a traditional 403(b) plan. For a distribution to be considered tax-free, it must be a "qualified" distribution. A qualified distribution from a designated Roth account is made at least five taxable years after contributions were begun. Additionally, the account holder must either be at least age 59.5, must be disabled or must be deceased. Then, any distributions will not be includible in the account holder's gross income for the year. A designated Roth account in a 403(b) is very similar to a Roth IRA. Neither account allows a tax deduction on contributions and both allow tax-free qualified distributions. 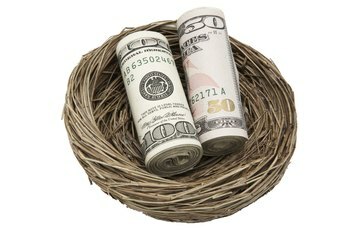 However, there are still some major differences between a 403(b) versus Roth IRA. For starters, a 403(b) plan is offered by a tax-exempt organization, while a Roth IRA is an individual account. As such, the contribution limits are vastly different. For the tax year 2019, a worker younger than 50 years old can contribute up to $19,000 to a 403(b) plan. Roth IRA contributions, on the other hand, are limited to just $6,000. Even the catch-up contributions are different. Workers 50 or older can contribute an additional $6,000 to a TSA, for a total of $25,000. But the limit for contributions to a Roth IRA increases by just $1,000, to a total of $7,000. Is a Roth TSA Better? Determining whether a TSA or a Roth TSA is a better option depends largely on tax rates. If you're in a high tax bracket now, you might consider contributing to a traditional TSA retirement plan. Your salary deferral contributions will reduce the amount of your taxable income, which can prove to be a great benefit if you're in a high tax bracket. For example, if you're in the 35 percent tax bracket for 2019, every $1,000 you contribute to a traditional TSA saves you $350 in taxes. A $19,000 contribution, then, could potentially result in a whopping $6,650 in avoided taxes. If instead, you're in the 10 percent bracket, you'll still achieve tax savings, but at a much less significant rate of just $100 for every $1,000 you contribute. However, your current tax rate is only half of the equation. You'll also have to consider your anticipated tax rate once you begin taking withdrawals. If you're just starting your career and are in a low tax bracket now but anticipate that you'll have a large amount of income in retirement, a Roth TSA might be a better option. It doesn't make financial sense to take a 10 percent tax deduction now on money that will be taxed at a higher rate in the future. Contrarily, if you're in a high tax bracket now but anticipate being in a lower bracket after retirement, taking your deductions now in a traditional TSA might make more sense. The difficulty with all of these computations is that the future is uncertain. 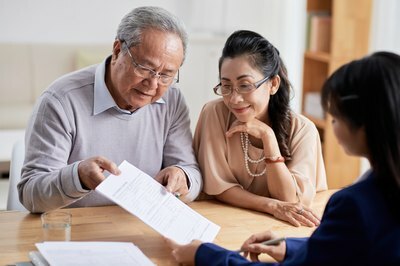 Although you might be able to guess with some level of accuracy the amount of income you'll be generating in retirement, it's hard to estimate what the political climate will be regarding tax laws in the future, particularly if your retirement is still decades down the road. Another factor to consider is that both your contributions and your earnings will be tax-free in retirement with a Roth TSA. Imagine if you contribute $100,000 to a traditional TSA over your lifetime and your account grows to $1,000,000 at retirement. You will have received tax deductions on $100,000 in contributions, but your entire $1,000,000 balance will be taxable. With a Roth TSA, that additional $900,000 in earnings will be completely tax-free. The bottom line is that a lot of factors go into the TSA vs. Roth TSA decision. You might want to consult with a tax adviser for assistance on all of the nuances of devising your retirement plan strategy. IRS: Retirement Topics – Who Can Participate in a 403(b) Plan? What are the Negatives of a Roth IRA?